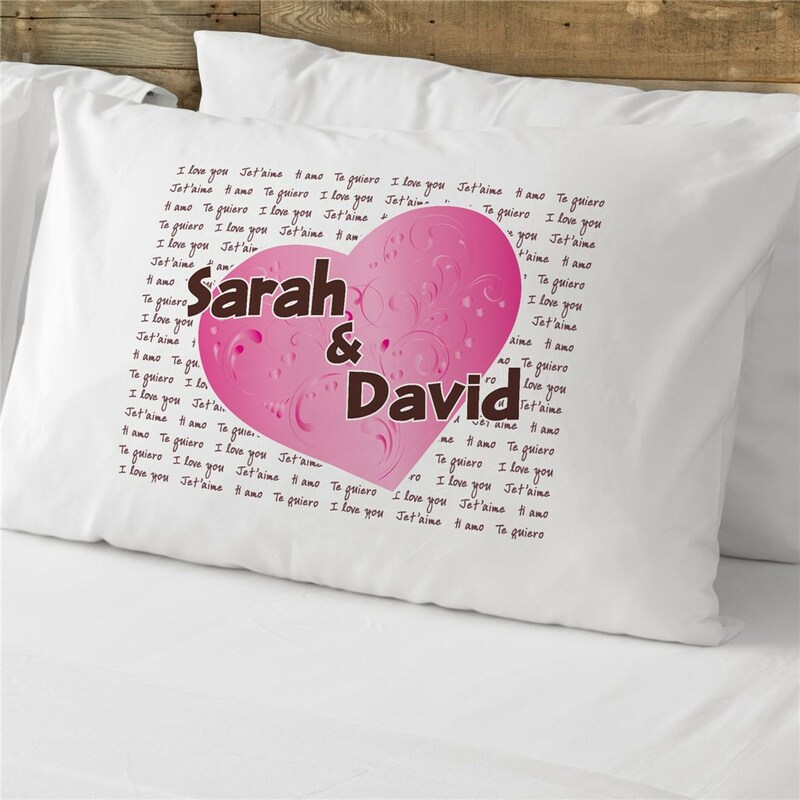 Express how much you love your significant other with this custom couple's Valentine Day Pillow Cases, which says I Love You in four different languages and is personalized with any two names! It's a sweet way to show some love year round. Buy Valentine Pillows like this Multi-Lingual I Love You Personalized Pillowcase today! She loved the pillowcase. She's a softie so this was perfect. I purchased this pillow case as a 2nd Anniversary (cotton anniversary) present to my husband. I looked for a while for a cotton gift and nothing seemed right, until I saw this product. My husband sleeps on this pillowcase every night and is always reminded how much I love him! Additional Details Our personalized pillowcases are a cute way to add fun to your bedroom decor! Check out our great collection. Personalized gifts are always a hit - shop with GiftsForYouNow and experience the difference!